Keep Art Alive in Central Arkansas! The opportunity to experience live performing arts is something that everyone deserves. UCA Public Appearances strives to bring world class artists to Central Arkansas and to keep ticket prices affordable. We want you and your neighbors to experience the wonder and excitement of the performing arts. Ticket sales covers less than 30% of the cost of operating UCA Public Appearances. It is only through the generous support of the community that Public Appearances can continue to bring outstanding artist to your community. By joining our list of supporters, you are making a statement about your commitment to the arts and your community. 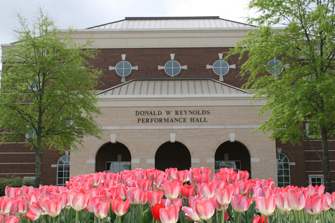 Not only does your gift bring arts to Central Arkansas, it also brings K-12 students into Reynolds Performance Hall for free. Your support allows us to engage in outreach programs with your community and with the organizations that are near and dear to your heart such as Big Brothers Big Sisters of North Central Arkansas. By becoming a donor to UCA Public Appearances you are helping us strengthen the community we all share. To make a secure gift online please click here. For questions about giving to UCA Public Appearances, contact Wendy Sparks at (501) 852-7889 or wsparks2@uca.edu.